BPI Credit Card: Turn all your purchases into limitless joys, instantly! in-store and online transactions, here and abroad. Now, that’s the real SHOP ANYWHERE deal! The following BPI Credit Cards are NOT qualified: BPI Amore Visa, BPI Amore Visa Platinum, BPI Family Bank MasterCard, BPI Express Credit Corporate Classic and BPI Express Credit Corporate MasterCard. 2. Promo period is from October 1, 2015 to January 31, 2016. 1. To receive the Shop Anywhere coupon(s), the principal cardholder must register from October 1, 2015 to March 1, 2016. For prepaid mobile subscribers, P1.00 maintaining balance is required to text 4627 keywords. 3. Only the principal cardholder is allowed to register for the promo. All qualified transactions of the principal cardholder, including his supplementary cardholder(s), will earn Shop Anywhere coupon(s). 4. In case the principal cardholder chooses to register both his mobile number and e-mail address, he may opt to register simultaneously or at different times. 5. The mobile number and/or e-mail address used for the registration MUST BE THE SAME as the principal cardholder’s contact details in BPI Express Credit’s system records. Note: Principal cardholder may register after two (2) banking days from date of contact information update. 7. Principal cardholder will receive an auto-reply to confirm receipt of his registration entry through SMS, e-mail or both depending on the mode of registration used. 8. Principal cardholder will be notified on the registration result through SMS and/or e-mail within two (2) banking days from registration date. 9. BPI Express Credit will provide the reason for reason for unsuccessful registration to the principal cardholder. 1. For successful registration, principal cardholder will automatically receive his Shop Anywhere coupon(s) for all qualified and posted transactions (from principal and supplementary cards) starting October 1, 2015 until the registration date. Principal cardholder will receive Shop Anywhere coupon(s) for succeeding qualified transaction(s) until January 31, 2016. 2. Shop Anywhere coupon(s) will be sent to the mobile number and/or e-mail address used for the registration. 3. For Shop Anywhere coupons through e-mail sending, principal cardholder must ensure that his spam/junk mail setting is turned off to block/transfer promotional e-mails to another folder. 4. Principal cardholder is allowed to receive a maximum of two hundred (200) Shop Anywhere coupons within the redemption period. Principal cardholder who reached the maximum limit will be notified via SMS and/or e-mail. 5. A single purchase transaction requires only one approval. Splitting into smaller transaction sizes, and consequently, requiring multiple transaction approvals will not be allowed. b. If new mobile number, principal cardholder must update his customer information first prior to registration of the new mobile number. Succeeding Shop Anywhere coupons will be sent to the new mobile number. 1. 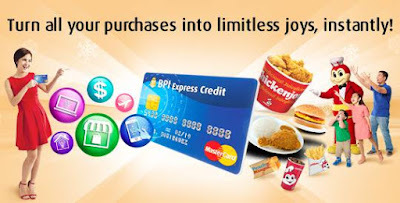 Principal cardholder must present the Shop Anywhere coupon(s) at any Jollibee store nationwide to claim the free food item(s) within the redemption period. Principal cardholder without the Shop Anywhere coupon will not be allowed to redeem. 2. One (1) Shop Anywhere coupon is equivalent to one (1) free food redemption. Each Shop Anywhere coupon can only be used once. 3. Redemption is valid for dine-in and take out only. 4. Principal cardholder is allowed UNLIMITED redemptions per day, per store. 5. Principal cardholder can forward the Shop Anywhere coupon(s) through SMS and/or e-mail to another person of his choice. 6. The free Jollibee food item(s) cannot be exchanged for cash, other products or discounts. 7. Redemption period is from October 1, 2015 to April 1, 2016. 8. All unredeemed Shop Anywhere coupon(s) outside the redemption period shall be forfeited. 9. In case of dispute, the decision of BPI with the concurrence of DTI shall be considered final. 10. BPI is authorized to give necessary information to its third-party contractor or agent to perform or complete the redemption process of the Jollibee free food items. Promo period from October 1, 2015 to January 31, 2016. Redemption until April 1, 2016. Per DTI-FTEB SPD Permit No. 13113, Series of 2015.